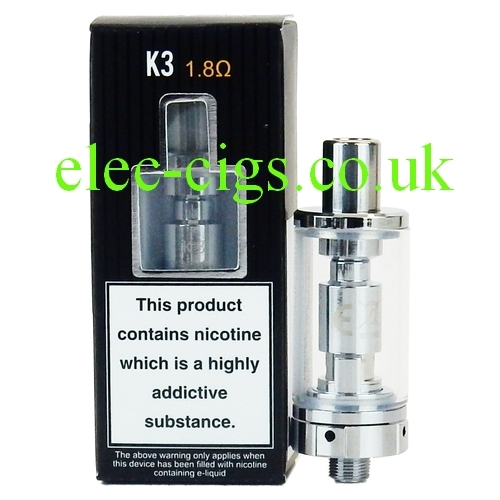 The Aspire K3 Tank is another of Aspire's award winning tanks and atomizers. 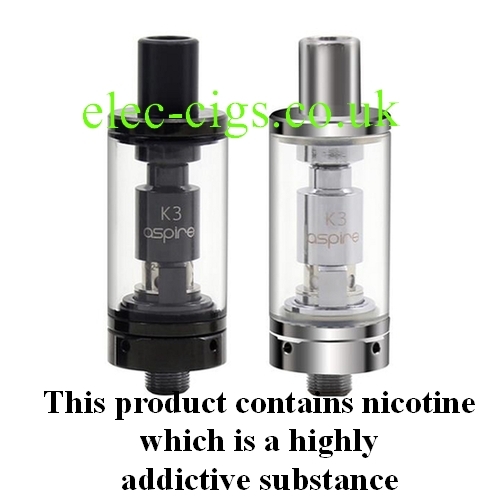 The Aspire K3 Tank​ is 100% genuine and each one has a 'Scratch and Check' panel, this is so you can go to the manufacture's web site and confirm that your product is one of theirs and not a cheap and dangerous copy. The Aspire K3 Tank is a new generation of atomizer and is designed to last longer while still giving users the purest and cleanest taste from e-liquids. This unique design also makes it easy to carry, install and refill. When using a new Aspire K3 Tank, let the tank stand for 2 minutes, so the cotton can become saturated before firing. Do not let the tank become completely empty. 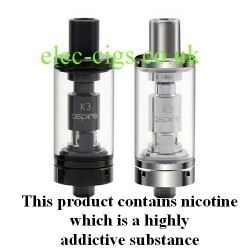 Refill the tank of your Aspire K3 Tank to avoid burning or damage to it.